Fleming Island Plantation in Orange Park, Florida. Just 15 miles from downtown Jacksonville, Fleming Island Plantation is over 1,680 acres of well-planned neighborhoods and untouched natural space. Fleming Island is a thriving residential and commercial community located in eastern Clay County and bordered by the waters of the St. Johns River, Doctors Lake, Swimming Pen Creek and Black Creek. Three developments in Fleming Island include Eagle Harbor, Fleming Island Plantation and Romeo Point. 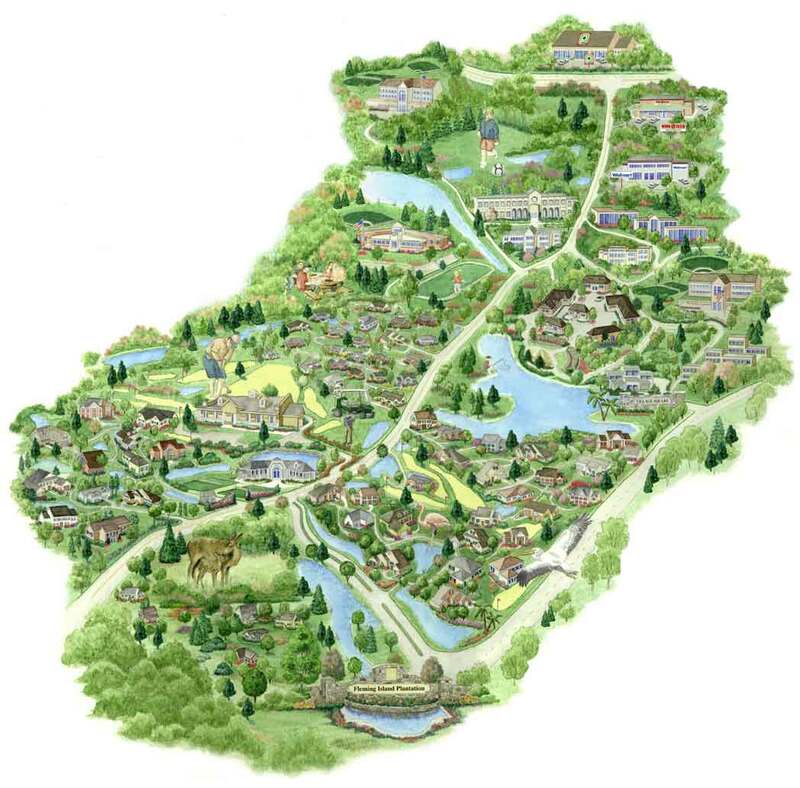 With the �Live-Work-Play� design philosophy, the community provides all the elements of a traditional all-inclusive hometown setting. It offers a wealth of recreation choices right outside its front door. Fleming Island Plantation's corporate office parks let residents work close to home and save more time for the family. Bell South constructed a four building campus on Town Center Boulevard; the 325,000 square foot facility employs over 2,000 people. In June 2001, AmeriCredit, a nationwide auto financing company opened, and employs about 650. The community has 130 acres of land donated to the highly acclaimed Clay County school system, which includes schools for children of all ages. Thunderbolt Elementary, walking distance from The Woodlands village, opened to its first 740 students in Fall 2000. Fleming Island High School opened Fall of 2003. A new middle school is scheduled for 2006. In the Village Square, pre-school age children can learn and grow at the Primrose Child Care Center. Homes in the neighborhood include The Woodlands, Covington, Thornhill, Chatham Village, Lake Ridge South, Southern Links, and The Links. The homebuilders of Fleming Island Plantation are some of Florida's finest, and they've built their reputations over the years by giving buyers selection, design innovation, quality and value. 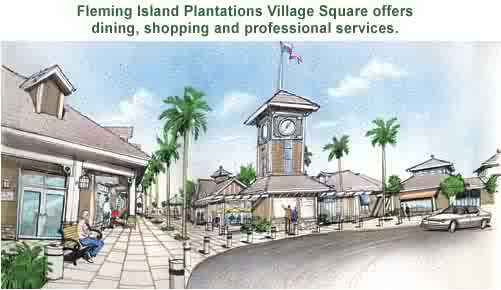 Ask me about what each offers in the Plantation's villages.